Personale disponibilissimo e caloroso ,ottimi servizi per gli ospiti, unica pecca la pulizia del bagno. Compared to European standards it might not be the cleanest and newest of all. 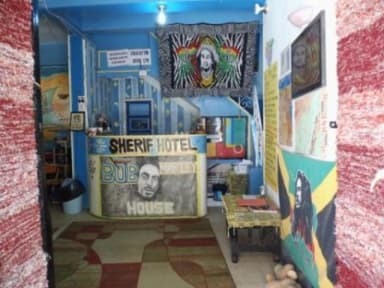 If you are not picky though this hostel will look after you, the staff will do their best to find the best deals and give you recommendations. They will treat you like a part of their family, amazing feeling as you are backpacking around. It's located in a very quiet tiny road in the east bank of Luxor, which can be a treat after spending the whole day out in the messiness of the town.